"We want to challenge our audience… and to surprise it," says Leena Pasanen, who took the helm as director of the International Leipzig Festival for Documentary and Animated Film (DOK Leipzig) earlier this year. Pasanen has introduced a fundamental change in thematic content of the world's oldest documentary film festival (it was founded in 1955) by doing away with the strict partitioning of documentary and animated films. In that sense, DOK Leipzig is one of the pioneer documentary film festivals in this format, which integrates animated documentaries in the Official Selection and qualifies them for admission to all long-form film competitions. "When you part animated films from documentary films, you sort of create two different audiences," Pasanen explains. "We want to create one audience that is open to hybrid documentaries. Of course, there is a looming question in the background: Are we forcing our audience to watch animation when they only come to watch a documentary film and vice versa? We see how storytelling is evolving and it is quite fascinating. When I was still in Finland working for television, I went for cinéma vérité-type films. It took a while for filmmakers to prove to decision makers like myself that animation could bring something significant to a film. I think Waltz with Bashir by Ari Folman was the first one that proved us wrong." Even though animated documentary is not new, obliterating the border between animation and documentary in both the main competition and programming is a daring move even for the festival with such a long tradition of showcasing hybrid formats. DOK Leipzig seems to cast aside the old dialectic of documentary being either artistic or didactic, either aesthetic or political. In fact, by putting animated and documentary films in a dialogue, the festival has given films the possibility to speak to each other when addressing personal and public matters alike. This dialogue seems particularly fertile for exploring the issues of border and identity, one of the core missions of this year's festival edition, especially in light of such critical foreign and domestic affairs as the unraveling turmoil in the Middle East or the surging refugee crisis in Europe. This year, observational fly-on-the-wall documentaries sat hand in hand with animated docu-dramas. One of the two animated documentaries in the International Competition for Long Form Films, Anca Damian's The Magic Mountain takes us on a restless journey of Adam Jacek Winkler, a Polish expat artist who partakes in the Mujahideen's 1980s resistance against the Soviets, alongside Afghan political and military leader Ahmad Shah Massoud. The film blends images from the war and activism of the period with Winkler's personal archive and his paintings of Afghan landscapes, which Damian has referred to as a manifesto for Winkler's ideas and commitment to fight for the Afghan cause. The wealth of animation techniques, including collages, drawings, animation sequences in 2D and 3D, and spectacular gouache are fused organically yet relentlessly—all aimed at translating the protagonist's emotional world into a highly stylized filmic reality. The texture and symbolism of artwork in the film adds to our experience of the journey. 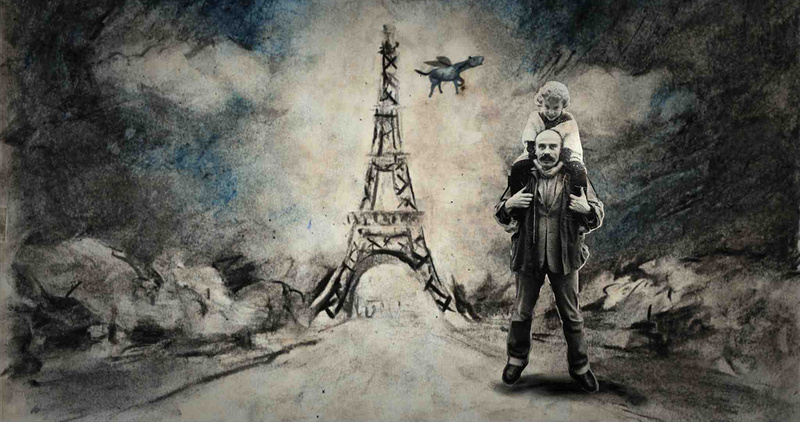 The saliently artistic visual language found amid the assorted animation techniques makes it a tad challenging for the viewer to detach from the imagery and follow the film's narration. At times it feels you are treading water, barely being able to keep your head above it. As the wave of animation grows, the terrain for reflectivity ebbs. Yet if you manage to keep afloat, listening closely to the protagonist's narration and experiencing a work of staggering artistry, you may find yourself waist-deep into the story, wading through the countless escapades of this very ambivalent figure, a self-proclaimed chevalier of the 20th century, a naïf who has come to be known for his cynical remarks and unceasing faith in his own truth. Debate over the use of animation in such cross-genre projects as The Magic Mountain often poses a series of existential questions about the form and the very definitions of documentary. Experimental documentary filmmakers have grown accustomed to quotidian questions that raise the issue of appropriateness of animation in a documentary film as well as its significance in a story. Having left the genre conventions on the doorstep of the past decade, the Danish film training initiative AniDox:Lab, which held its third pitch presentation and talk at DOK Leipzig this year, has set itself the task to engage both documentarians and animation filmmakers in a conversation on animated documentaries. As the discussion unfolded, the invited animators and documentary filmmakers conceded that there seems to be a rubric, a set of rules when animation is deemed apt, but ultimately it is the film's subject matter that should dictate the form. Memory loss, dreams and the experience of war lend themselves to animation. Films unveiling the internal (psychological) states or the realms of the subconscious may use animation to convey visual representation of those experiences, thus serving not only as an aesthetic choice but also as a communication tool. In some cases, animation comes as a pragmatic answer. For instance, animation can compensate for the lack of material due to the impossibility of real-time filming or other types of obstruction in approaching subjects or subjectivity in a closed country. In political documentaries, animation might be employed to anonymize and protect protagonists who may otherwise be under threat of persecution. When documentary films explore sensitive topics, animation coated in the appealing, child-friendly look may even serve as a subversive tool, since it is likely to bypass state scrutiny and censorship. This year's festival edition showcased three animadoc case studies, exemplary of this way of filmmaking. Falk Schuster's Die Weite Suchen recounts a personal story about his family's holiday trip to the Baltic Sea in the former GDR. To bring the world of 1987 back, Schuster made a decision to use rotoscope and drawing. The archival footage plus talking heads formula does not necessarily equate truth or objectivity. Schuster accounted for the choice of rotoscoping as a creative means with his desire to re-create the atmosphere of the former GDR and curious novelties that defined the foregone era as seen through the eyes of a seven-year-old. "It is a story about my memories of our childhood," Schuster said. "It is a very small private story but it has a lot to do with the larger one of the former GDR—at times, funny; most of the time, absurd. Animation is what has brought it all together." The filmmaker explained that deep into the research stage, he realized that rotoscope was the answer to the deficit of footage and prohibitive costs of the film. The use of rotoscope afforded him the opportunity to fill in the blanks in the story by using reproductions of unavailable objects and re-enacting scenes where the family archive fell short. In this case, animation liberated Schuster from relying on archival footage or other orthodox means to tell a story. As Indiewire's Paula Bernstein wrote in her article on animated documentaries, animation may compel documentarians to question the "outdated notion that documentaries are simply a straight re-telling of the truth—surely, in this age, we accept that all filmmaking… involves a certain amount of artifice." In the words of Swedish filmmaker Jonas Odell, animation in Die Weite Suchen may as well be a form of honesty as it exposes the artifice of documentary filmmaking to recount history deeply inscribed into personal lives. Justin Stephenson's The Complete Works is another example that plays with the tension between the appearance of transparency and artifice. Fifteen years in the making, The Complete Works adapts the work of the renowned avant-garde poet bpNichol, offering a glimpse into the imaginative world of the Canadian poet. From hand-drawn animation to computer-generated images, from documentary to magic realism, The Complete Works "wrestles bpNichol's writing off the page and projects it on to the screen," as Stephenson put it. Instead of resorting to archival material to produce a biographic narrative or a portrait film, the filmmaker worked with bpNichol's poetic methodologies, which interrogate the relationship between form and emotional exploration and expression. For bpNichol, a poem was not a fixed object; it was a series of practices and ways of generating a meaning and creating a world around a reader. Animation in The Complete Works serves to highlight the poet's mediation of language, allowing Stephenson to illustrate his ideas, without betraying bpNichol's poetic methods. 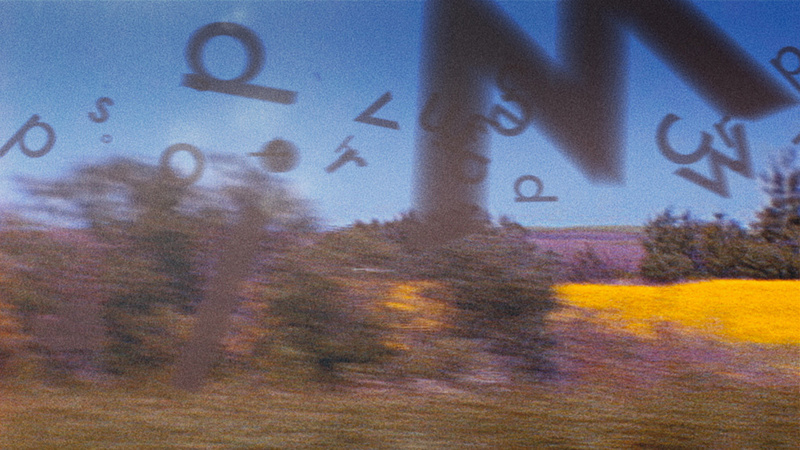 People pursued by letters, words pictured as belonging to a physical world, letters hovering over a landscape. There is the revelation of artifice, even an emphasis on it. "Apart from a few camera techniques, there is no other way to do that in film other than to work with animation," Stephenson affirmed. Animated Minds, by former clinical psychologist Andy Glynne, is an on-going project that revolves around the issues of mental health, psychology and internal processes. Originally commissioned by the British broadcaster Channel 4 in 2003, the series is a testimony on mental health, condensed into two-to-three-minute animated films that attempt to do more than a leaflet or a long-form television documentary in engaging the audience in a way that it has been not done before. 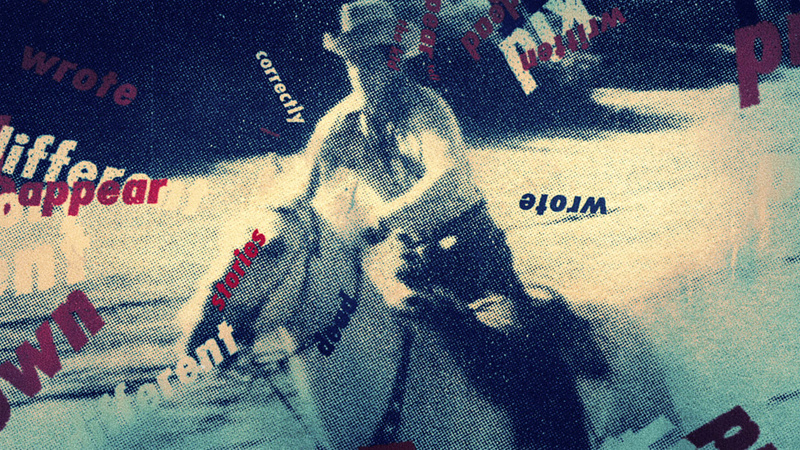 Animated Minds is comprised of personal stories that have no reference to specific individuals. The voiceover guides us through the narrative. Sometimes there are two or three voices that interweave, yet there are no names, and no information on where they live or their professions. Glynne noted that this has been done deliberately, since the purpose of this project has been to depict subjective experiences of people suffering from agoraphobia, postnatal depression or post-traumatic stress disorder (PTSD), among others. "However, it is not a story about John," the filmmaker explained. "It is a story of what it is like for John to experience the PTSD. Once names and personal details are dropped, something happens to the audience. It becomes much more about the issue than about an individual story. For me, that is what animation has been able to do that live action has not—transcend an individual in a personal story and turn it into a story of an experience that is intensely intimate yet relatable and comprehensible by others." Sevara Pan is a Berlin-based film journalist and writer. She previously wrote for the leading European Documentary Magazine DOX, an initiative by European Documentary Network, and worked on the award-winning Pipeline (dir. Vitaly Manski) and The First Sea (dir. Clara Trischler).